Ridley Scott is Prepping an ‘Alien’ VR Experience! The VR (Virtual Reality) movement is hot and heavy right now with so many different VR Headsets available on the market from many different companies. It’s not surprise that the video game industry are making more and more games and experiences in the VR world, which has Hollywood wanting a piece of that real pie. Ridley Scott is now getting into the VR world with his upcoming new film ‘Alien: Covenant‘, which we saw the first trailer to that recently. The Fox Innovation Lab with Twentieth Century Fox will now make a VR game set in the ‘Alien‘ world with Ridley Scott supervising and producing the game. The producers say, “Viewers will discover the true meaning of terror as they navigate through horrifying alien environments and a story where every decision could mean the difference between life and death.” We expect to find out more at the upcoming CES event later this month. 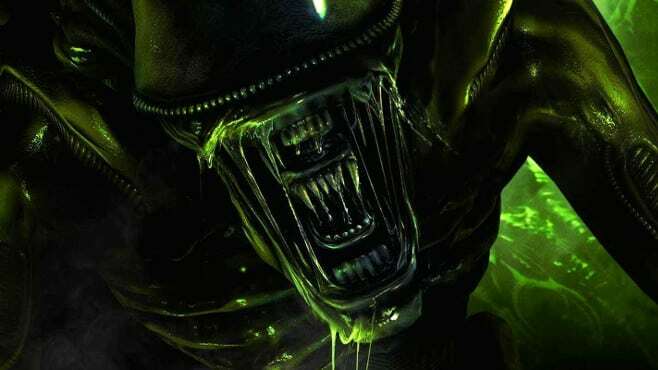 The producers also say that this new VR experience will be a “dread-inducing journey”, which has me giddy as hell to buy a VR headset so I can fully immerse myself into the ‘Alien‘ world once and for all. ‘Alien Covenant‘ will release May 19th of this year, so expect the VR game to be out shortly after that. Alien: Covenant is Coming to 4K and Blu-ray! In Space, Nobody Hears the New ‘Alien: Covenant’ Trailer! ‘Alien: Covenant’ Trailer is Here! This entry was posted on Tuesday, January 3rd, 2017 at 1:14 pm	and is filed under Film, News, Video Games. You can follow any responses to this entry through the RSS 2.0 feed. You can skip to the end and leave a response. Pinging is currently not allowed. « A New ‘Fifty Shades Darker’ Trailer is Here! I told him that cigarette would kill him one of these days.